The Vikings are coming! The year is 878. For the past 75 years, Viking raiding parties from Norway and Denmark have been terrorizing the coasts of England with ‘hit and run’ attacks. The treasures and stories gained from these attacks have allowed the Norsemen to raise huge hosts of eager men seeking glory and riches. During 878: Vikings – Invasions of England, players control the invading Vikings or the English nobles who are trying to withstand the invasion. Players for each side will strategize together, gaining control of cities and invading as they go! Each side attempts to control Cities on the map to win. The English start the game controlling all of England but a Viking Leader will invade from the sea each Turn. The English players raise reinforcements from cities they control, while the Vikings must wait for a new invasion for reinforcements. The game ends when the Treaty of Wedmore is called and the side controlling the most cities wins the game. Buy 878: Vikings – Invasions of England for a wargame packed full of dice rolling, area control and medieval history. Noble Knight Games878 - Vikings, Invasions of England 2-Pack, Invasions of England + Viking Age Expansion! 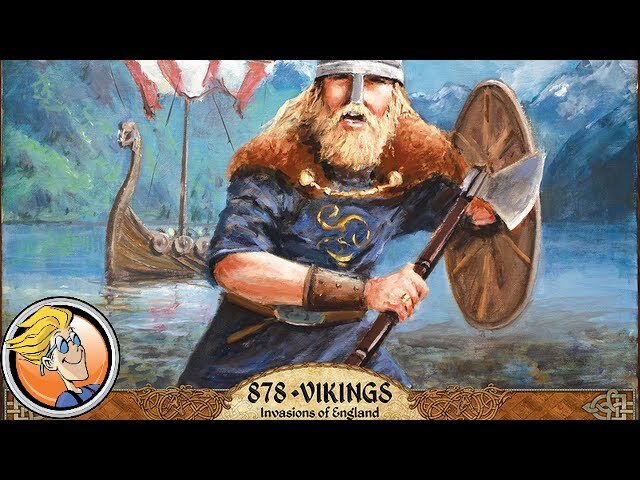 878 - Vikings, Invasions of England 2-Pack, Invasions of England + Viking Age Expansion!